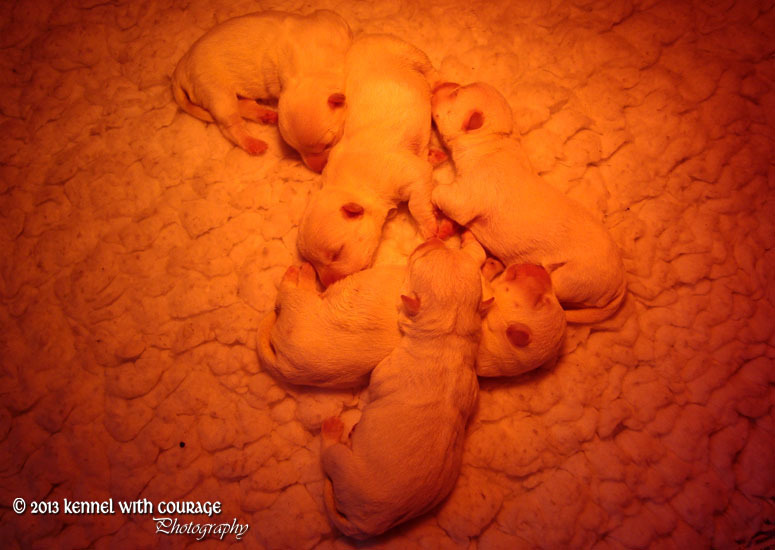 Our Dogs are Miracles with paws ! 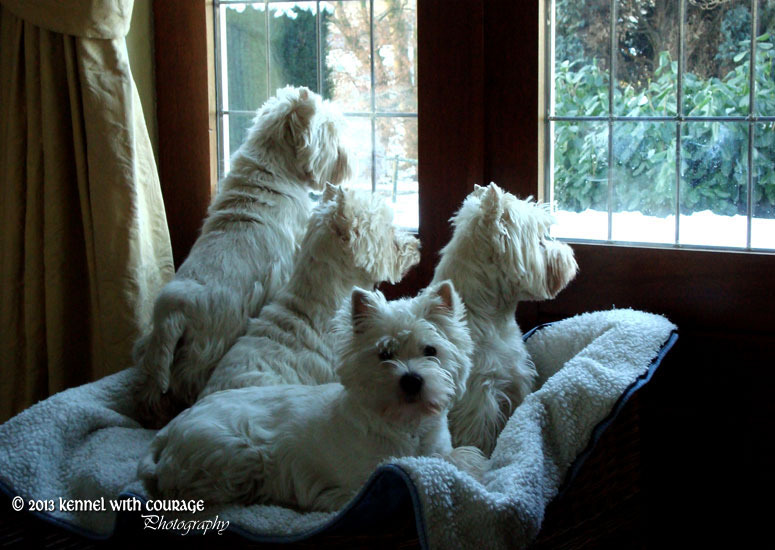 Welcome to Kennel "With Courage". 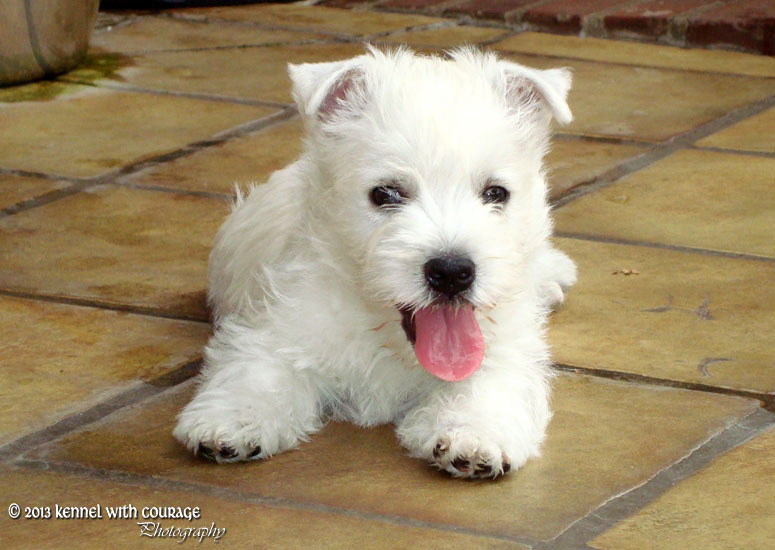 The West Highland White Terriër originates in Scotland. 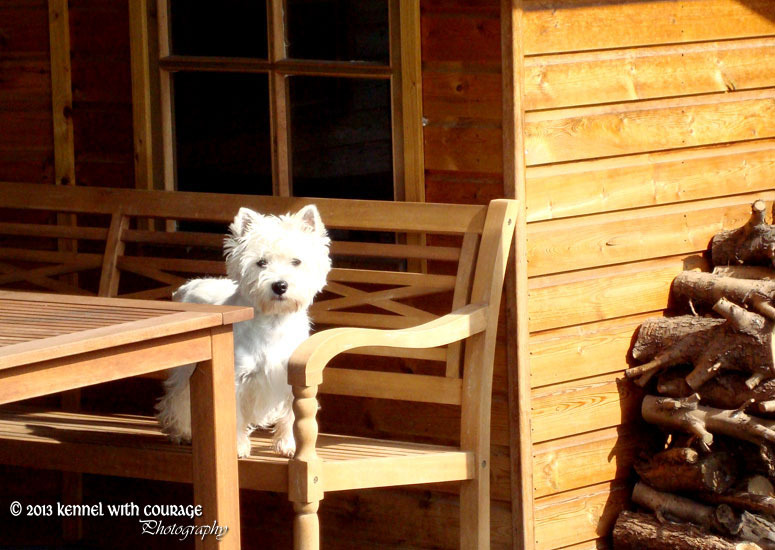 The rough rocky Scottish landscape is often tough passable and accessible. 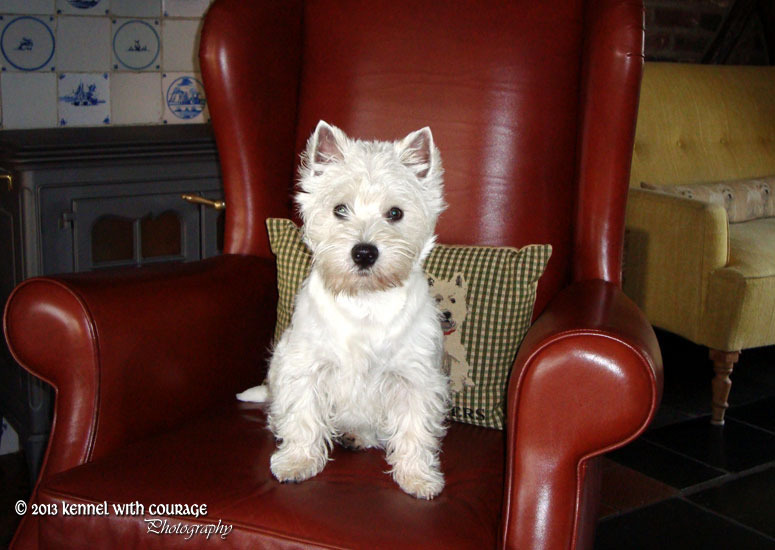 History tells us that farmers, noble families and the "Clans" bred small terriërs for hunting foxes, otters and badgers. 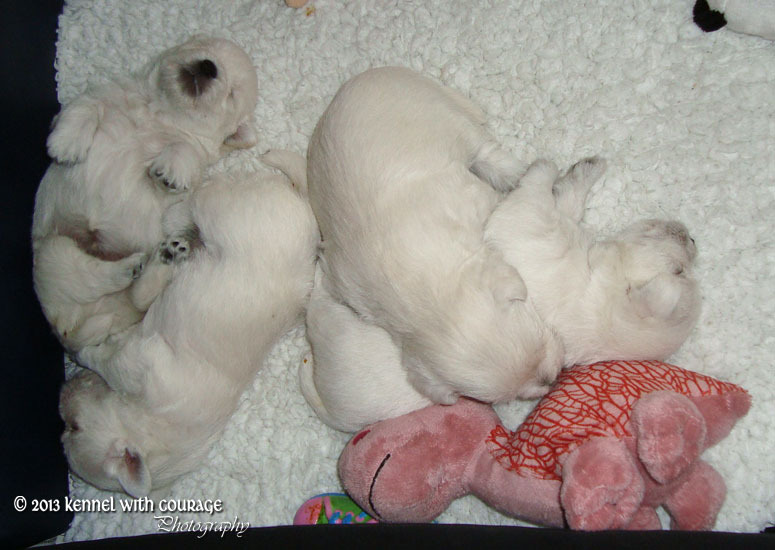 These brave little dogs had to have great stamina but above all had to be "courageous" to achieve their goals. 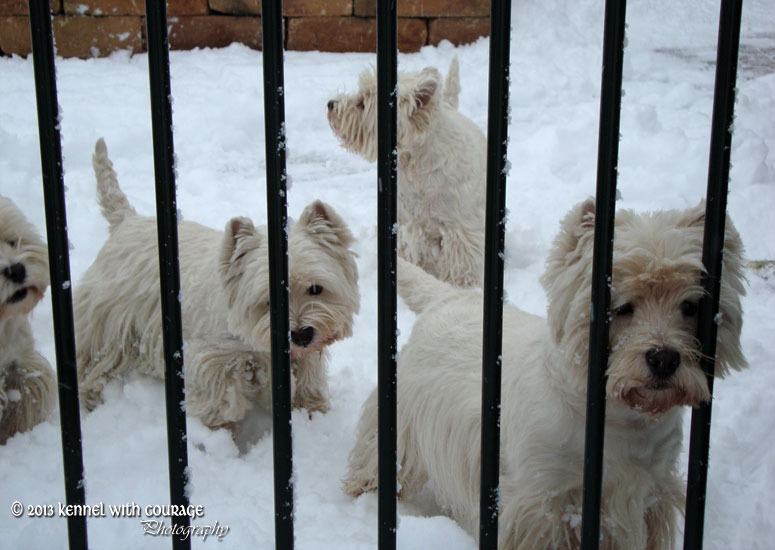 Working in the rugged Scottish "Highlands" was not easy. 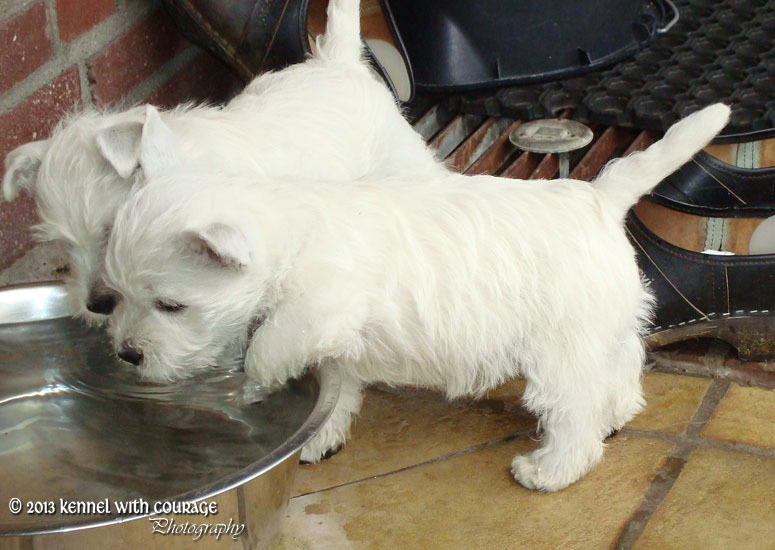 Weather conditions were sometimes impetuous. 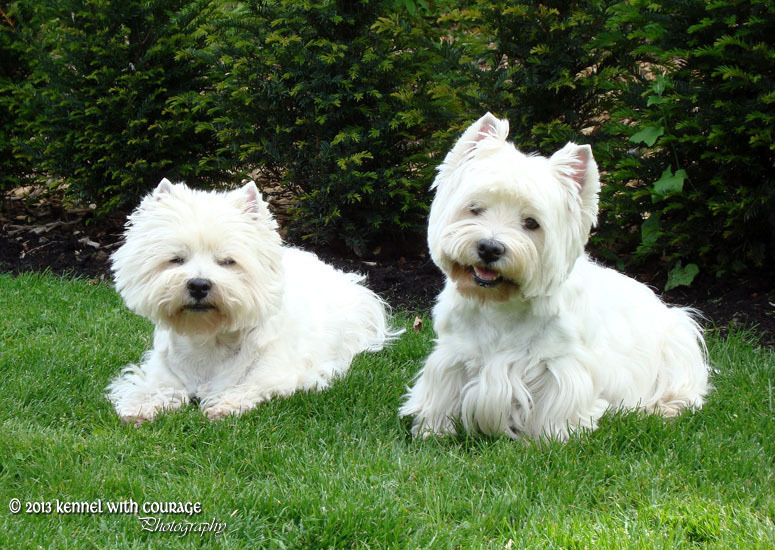 The Terriërs could not shrink back from anything and had to excel in "courage", guts and alertness, or in English: "With Courage". 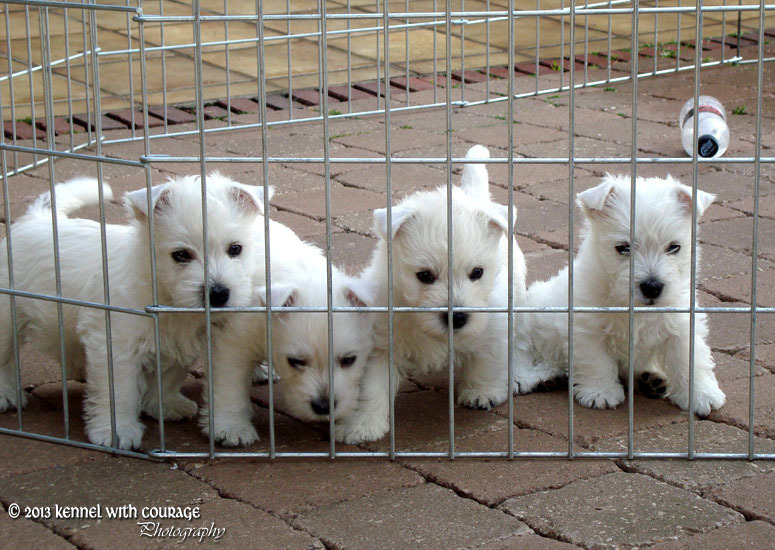 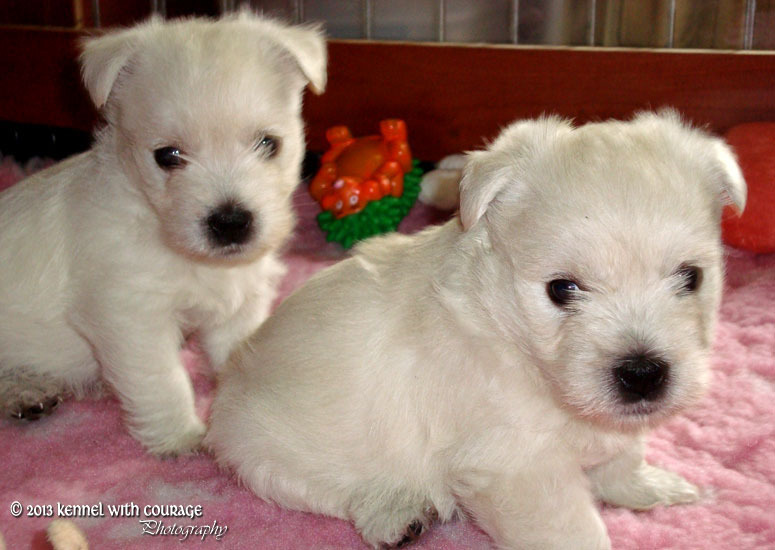 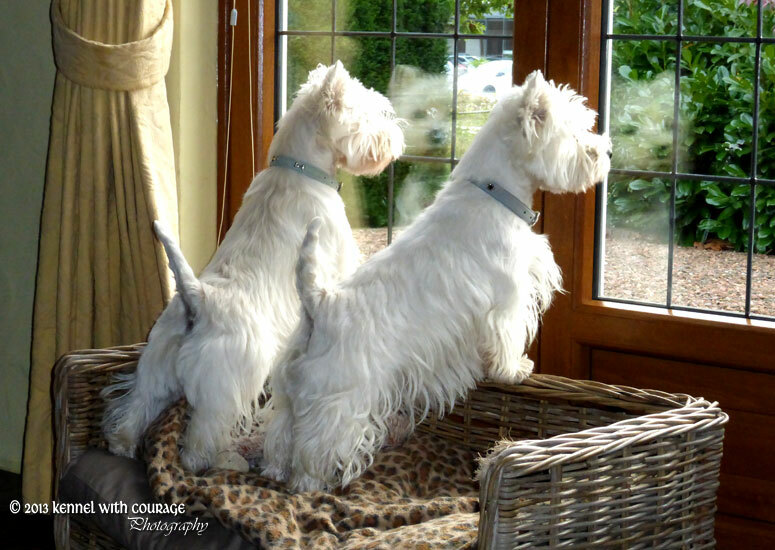 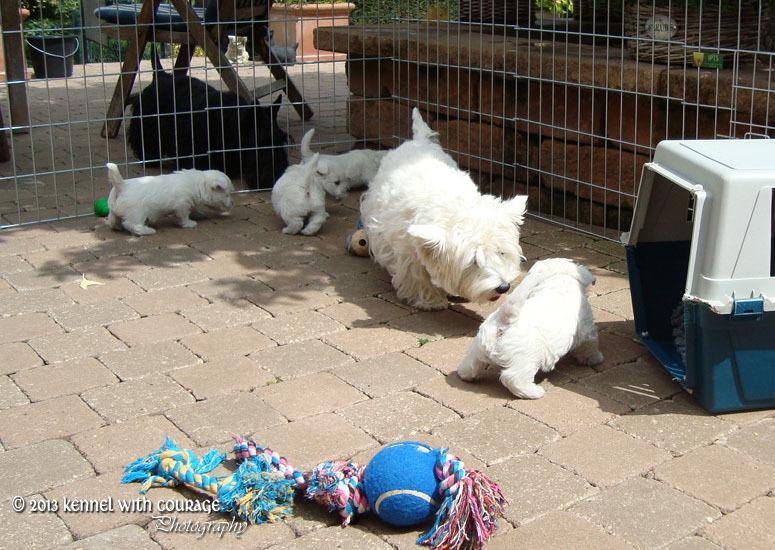 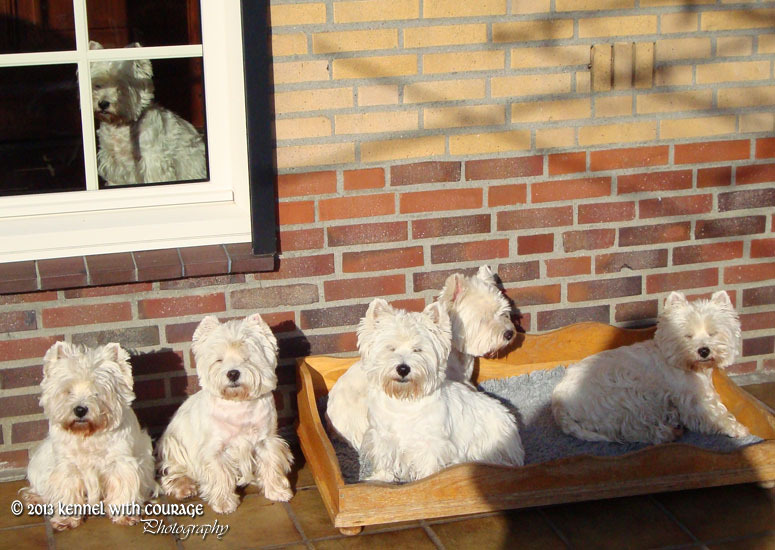 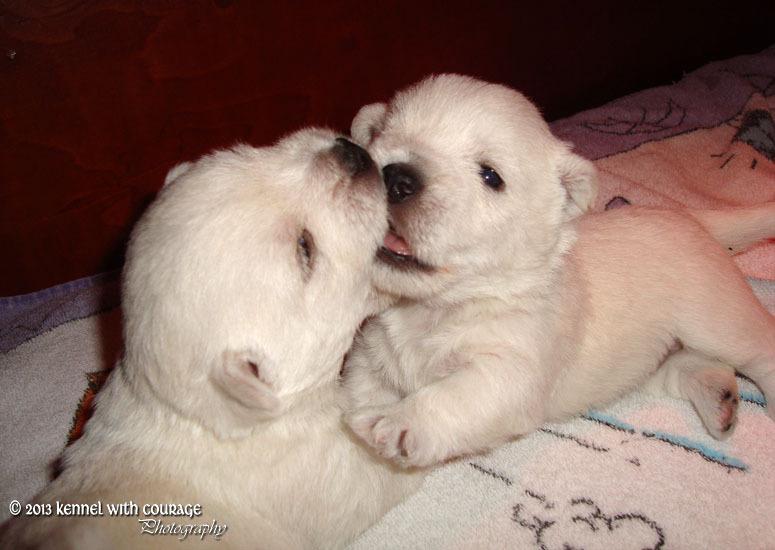 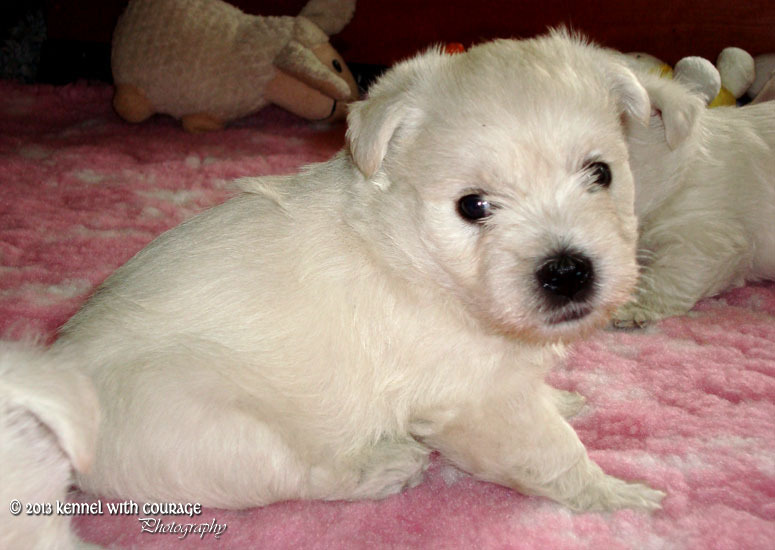 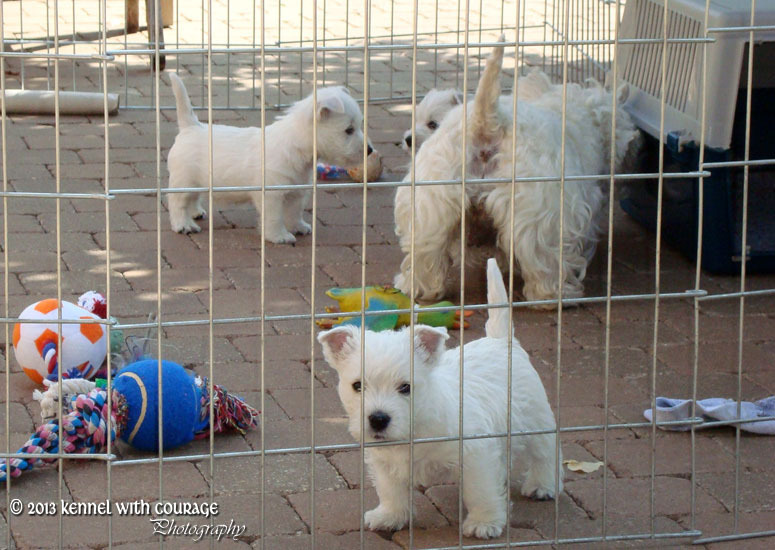 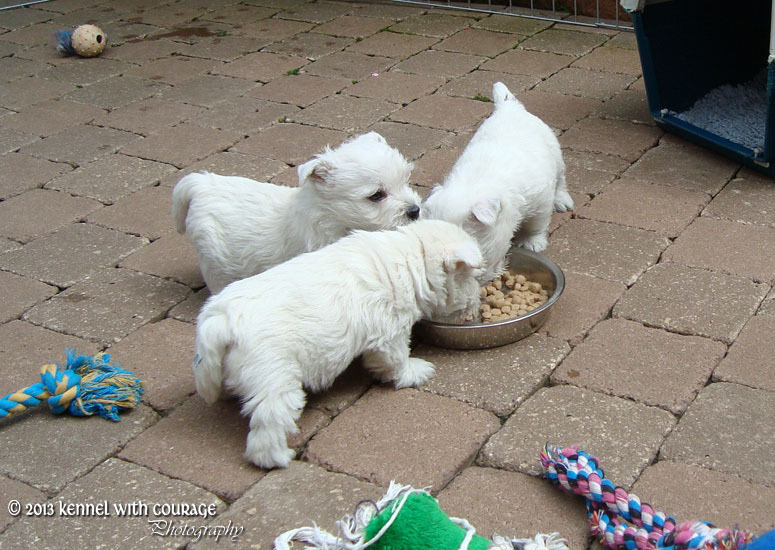 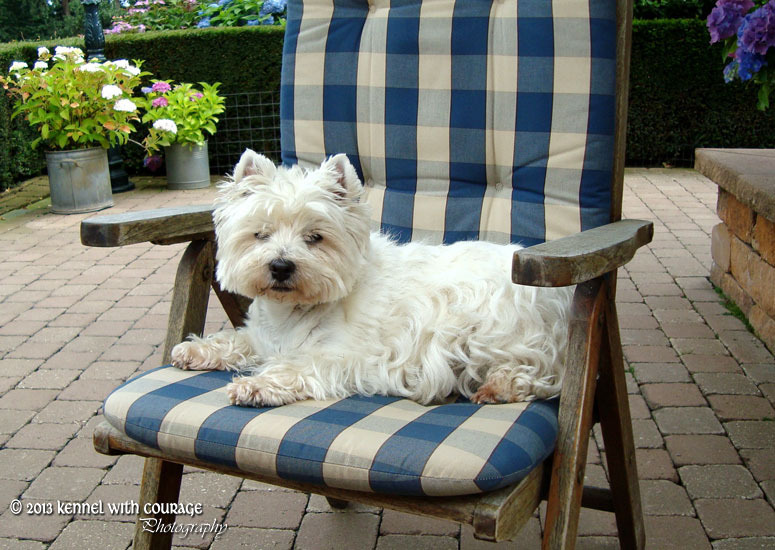 Our West Highland White Terriërs originate from solid and perfectly built Scottish / English bloodlines. 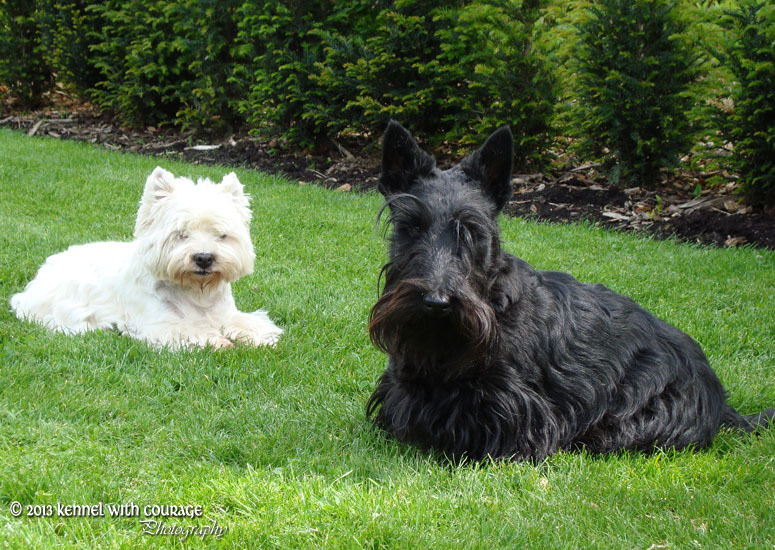 Health, beauty and character are very important to us. 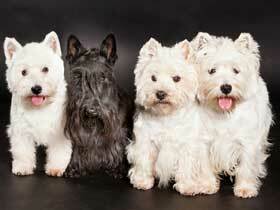 The dogs we use for breeding are PRA and Catharac free. 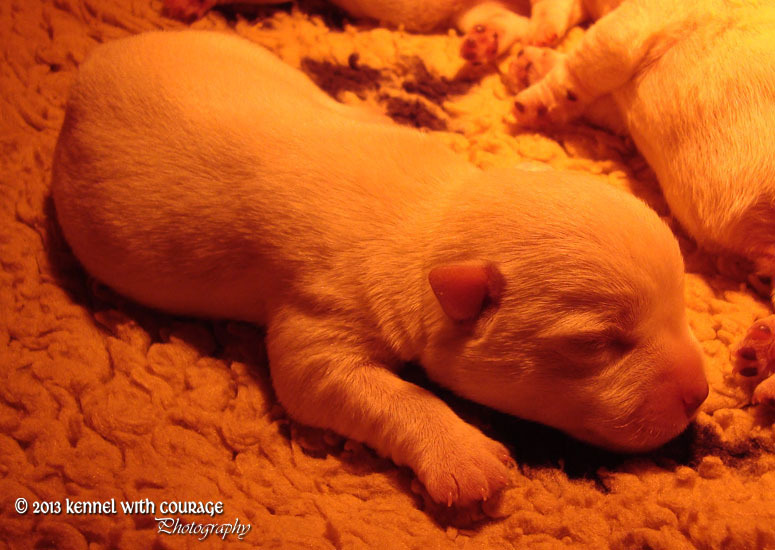 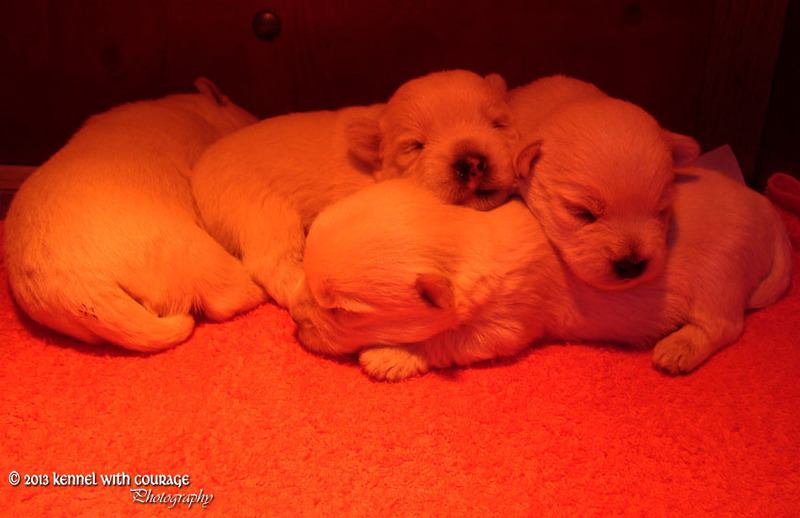 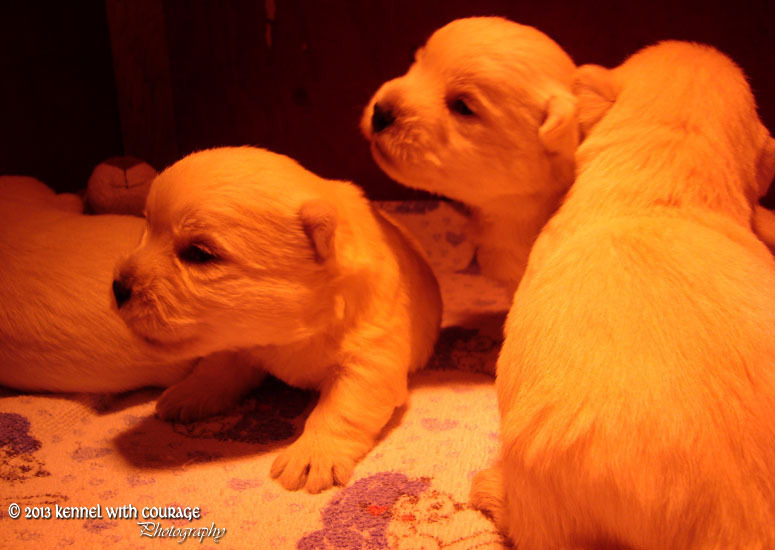 To breed well-considered with our dogs, we carefully select the "parents" of future puppies. 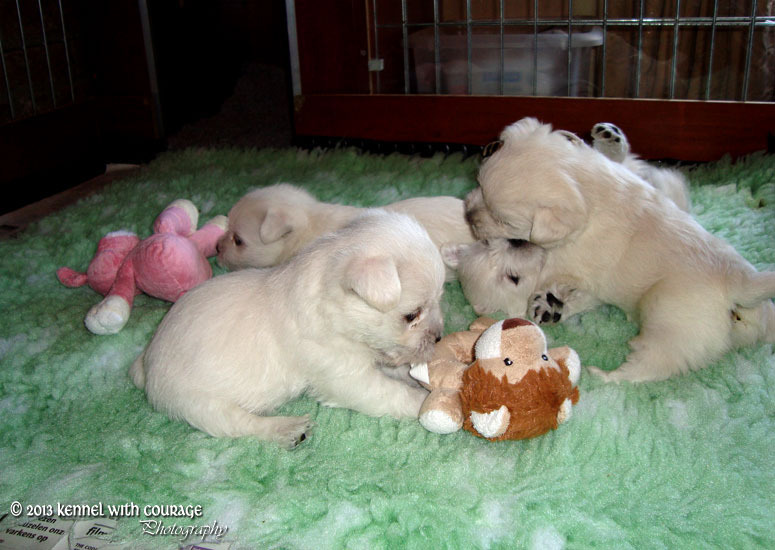 We pay special attention to type, suitable bloodlines, health, walking or movement and the right character with the result that we occasionally have a litter of puppies available. 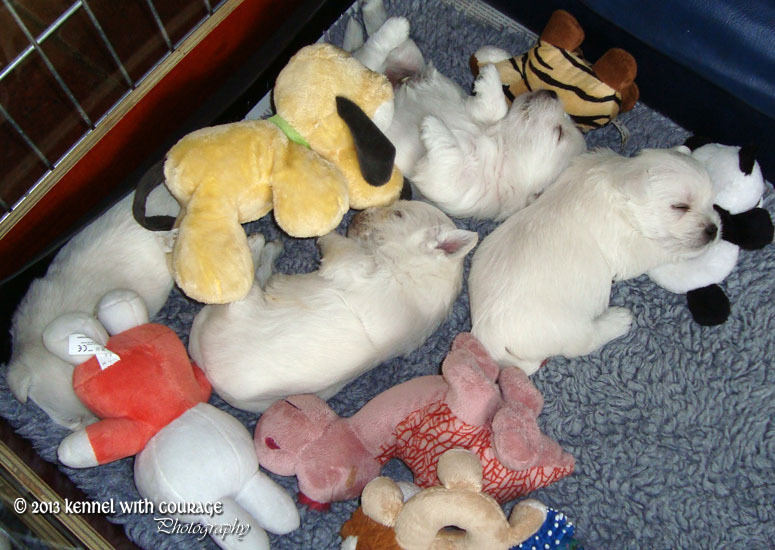 Our dogs and puppies are part of our family and are being raised in a homely environment. 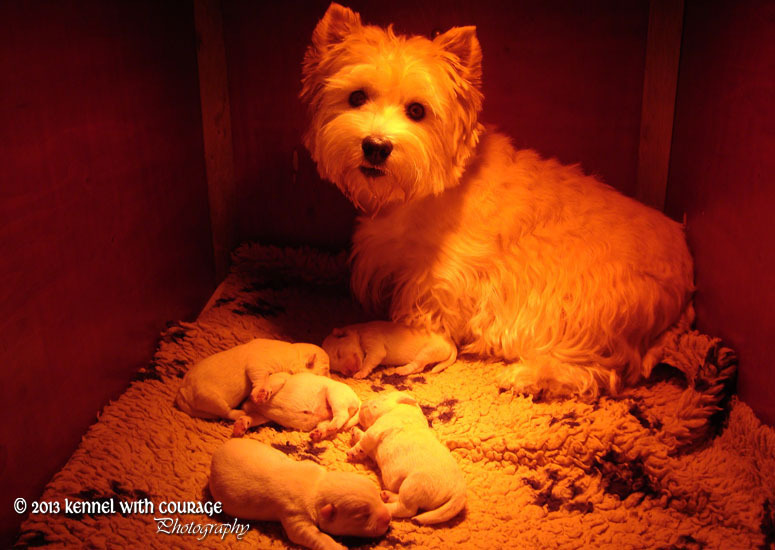 Kennel "With Courage" is also active on Social Media. 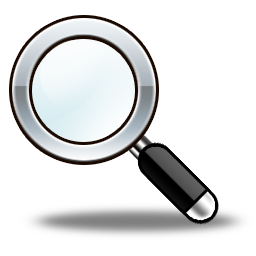 If you would like to be kept informed about our activities, follow us on Twitter and Facebook. 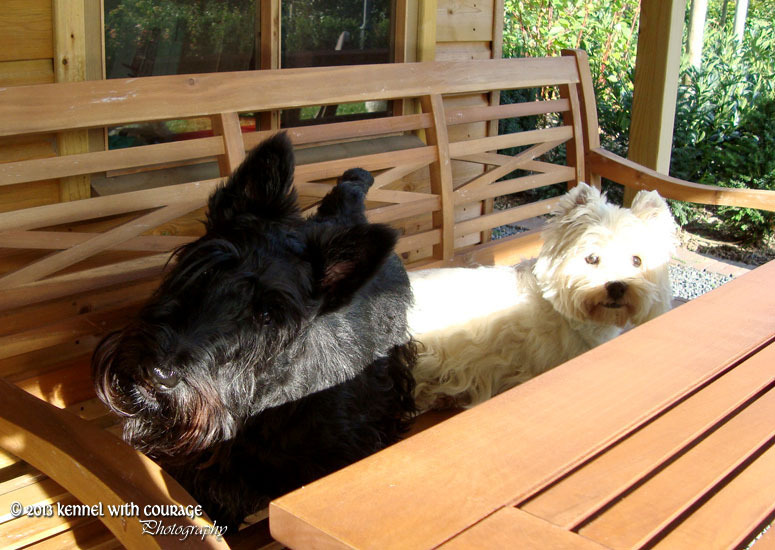 For more information or questions you can always call or email us.